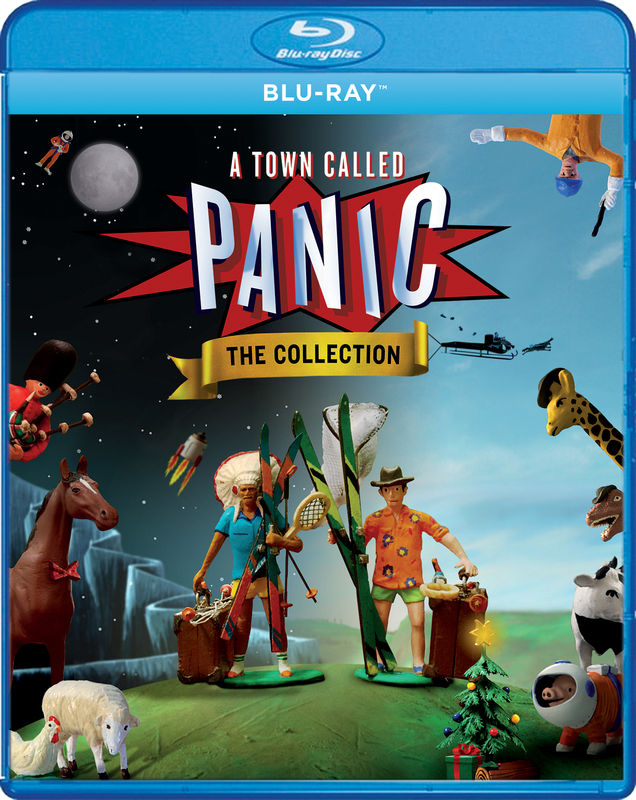 With disarming wit and hilarious visuals, A TOWN CALLED PANIC: DOUBLE FUN revels in the simple setup of three plasticine toys sent on increasingly surreal and freewheeling adventures. Cowboy and Indian are always up to some harebrained scheme, with Horse left to clean up the mess. 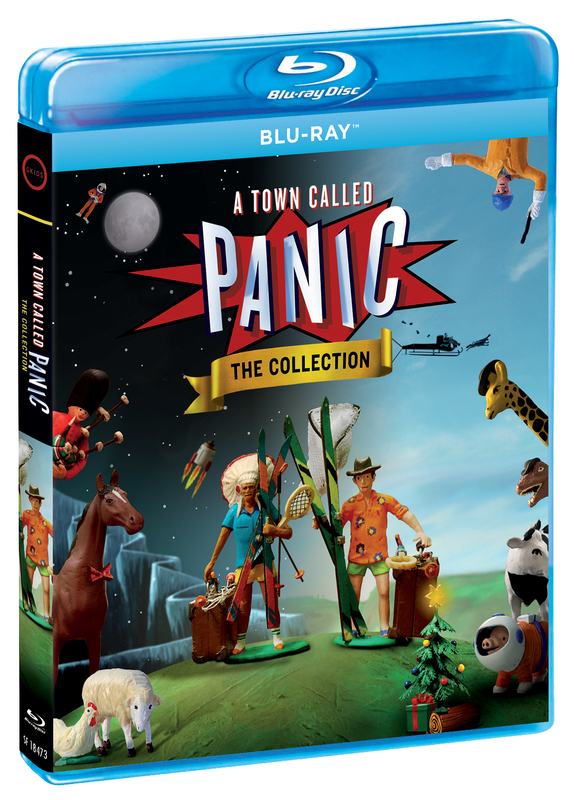 In CHRISTMAS PANIC!, their out-of-control antics lead Horse to call Santa and cancel the presents. But the boys figure they can still save Christmas… if they break into their neighbor’s house to steal his yule log! In BACK TO SCHOOL PANIC!, a class assignment yields a special prize, but only Pig knows the answer. Cowboy and Indian use a special shrinking potion to sneak into Pig’s brain, where they discover a sodium-packed world of pig cops riding in bacon cars and sausage cycles.